Explore the wonders of the universe! What is the sky hiding? 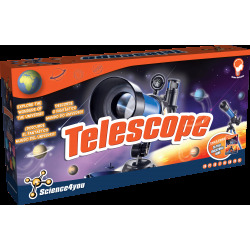 Now you can discover it with the Science4you Telescope. 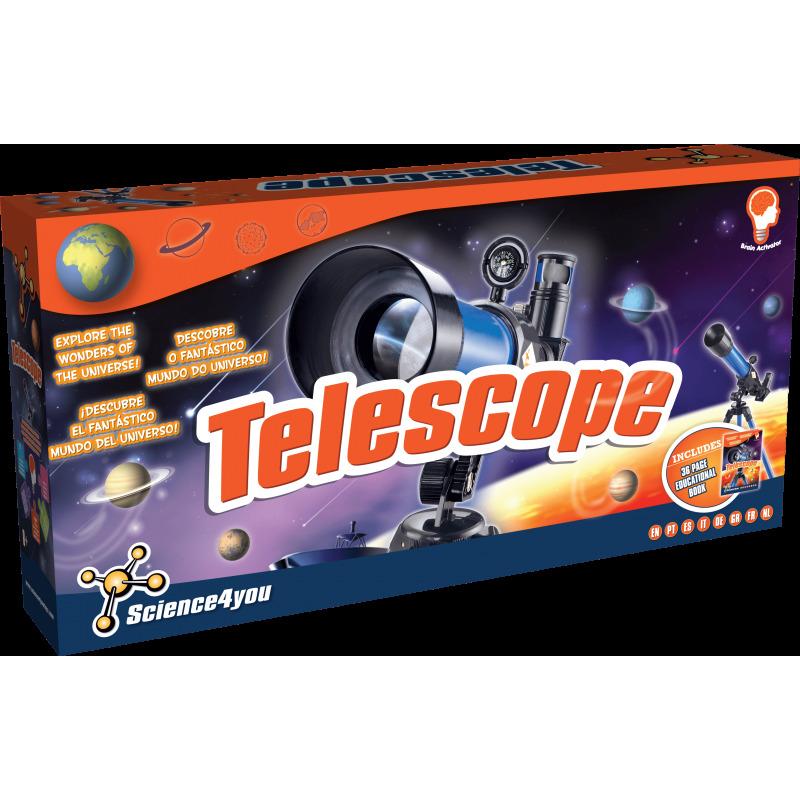 Discover what planets and stars hide and become an astronomer! You will love learning about the universe while being able to see it. 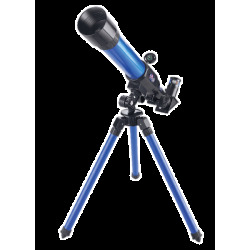 Find out what else you can see with our Telescope. What telescopes are used for. How many planets are in the Solar System. Which stars and planets can be seen from Earth. Which planet is the largest one. 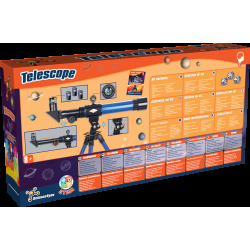 It includes all pieces needed to assemble your telescope as well as an educational book with 36 pages.